The photo shows Dr. Huey and his wife Kittie on the bank of the Seine river in Paris during his June 2011 trip to Europe. Dr. David M. Huey is a graduate of the Northeastern State University College of Optometry in Tahlequah, Oklahoma. He has provided optometric care for patients in Altus, and SW OK, for over 25 years and has been a member of the American Optometric Association and the Oklahoma Association of Optometric Physicians for over 29 years. He is a Past President, Kiwanian of the Year, and current member of the Altus Kiwanis Club, a former member of the Gifted & Talented Advisory Committee of Altus Public Schools, and a former Chairman of the Health Advisory Committee of Head Start (SOCAG). ​In his spare time he enjoys performing locally on the saxophone with his wife Kittie, also a saxophonist and former band director at WOSC, SWOSU, and Duke Schools. ​Dr. Huey has been a long time supporter of our men and women in the military as Past Chairman of the Altus Armed Services YMCA Board, a former Honorary Commander for the 55th Air Refueling Squadron, 97th Medical Group, 97th Logistics Readiness Squadron, 97th Comptroller Squadron, and the Aircraft Maintenance Division, all at Altus Air Force Base. He has been a long time member of the Altus Chamber's Committee of 100 and the esteemed Military Affairs Committee. ​Prior to attending optometry school, Dr. Huey taught biology, science, and instrumental music in Oklahoma and New Mexico. Dr. Huey had LASIK performed on his eyes June 18, 1999 by Dr. Brad Britton of nJOY Vision in Oklahoma City. Check them out at www.njoyvision.com. ​'Bree' is now a Certified Paraoptometric with 5 years experience in the industry and is working on her CPOA certification. You will likely speak to her when you call to schedule your appointment. She will be happy to help you understand your insurance so that you can use it to your maximum benefit. Give her a call! Brenda files our medical insurance claims and assists Kandice in our optical dispensary. 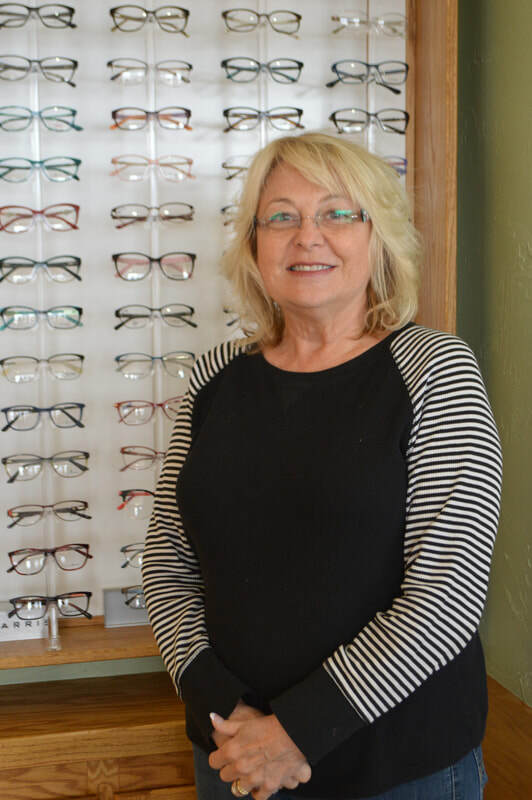 With over 35 years in the optical business, Brenda has been a wonderful resource to our practice. Kandice is a previous employee that just moved back from Alabama. She is a Certified Paraoptometric with 7 years in the optical business. You’ll find her in the optical dispensary ready to help you find the perfect frames. ​The doctor's wife assists in many office duties including frame selection and styling.